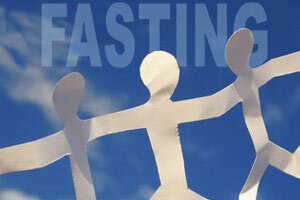 Fasting support page for Natalie. Stats: 23 years old. 5’5″, about 150 lb. tool for me at this point in my life. I hope for tomorrow to be Day 1 of my fast. I am glad to be of support Natalie. Just be honest about your successes and failure as it is all a learning curve. Natalie- we all have these days and feelings. Dont be silly girl. Purpose in life can be as big as finding a cure or as simple as being a good friend. Set simple goals for yourself, get up and get outside. Take a five minute walk or just step outside and breath deep for a second. Look around. Dont think so far ahead to the future that you feel like its overwhelming to get there. Think about today and today only. The sun is up, its a good day. Get a job in a library, a pet store- so that everyday youre making someone else happy. Focusing on the happiness of others will in turn make you very happy. Hope this helps 🙂 Let me know if I can help in any other way. I fougnt depression for years. Everything became difficult I just wanted to give up. I had to fight to keep my thinking positive, eat healthy and workout. I had to force myself to to the right thing then afterword felt better. That was great advice that Tom and Danielle have given. I am currently on a 21 day fast for mental and spiritual clarity. I am happy to lend my support in anyway that I can. I agree with everything that Danielle said , and want to emphasize the self fulfillment and happiness often comes from helping other people, whether its doing something small and simple or huge and demanding. I have also fought with the same issues that you have listed and, for most of my life I have been “overweight”. I place that in quotations for many reasons, mainly because everyone has a different body and composition so the term CAN be biased and, personally, I have always floated in this area of not being slim yet not being clinically obese either. With that being said, I would like to share my story (as it is ongoing) and successes with you as well as give any support that I can. With that said, I would openly leave my IM name but, that has backfired horribly in the past. I leave my email instead, ward2j@gmail.com. I hope to hear from you. I have a lot I would like to share with you that would be too much to type here. From one New Yorker (Capitol District) to another, I wish you strength and positivity through this period.